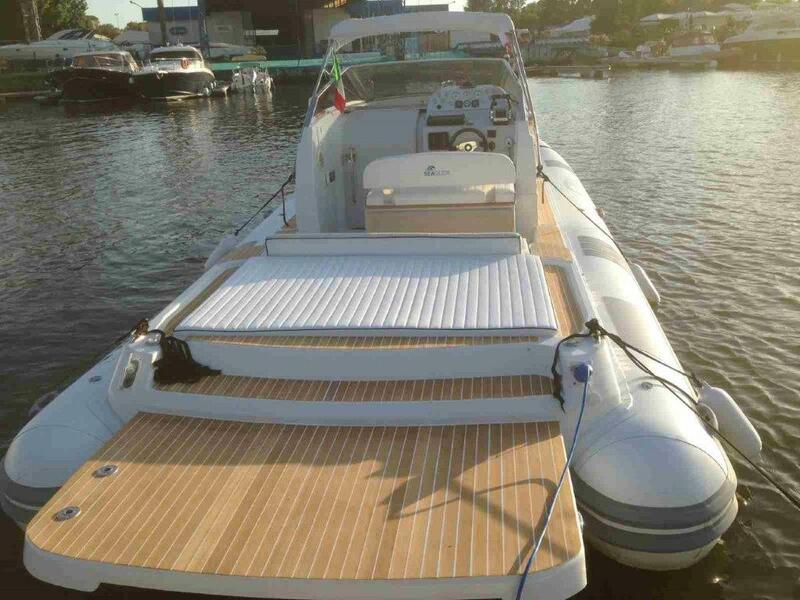 The yacht CR 50 TOP LINE built in 2000 is one of the best boats to spend the days off the Pontine islands. 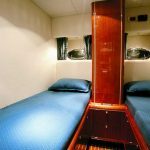 With its 16:20 meters long and 4:35 m wide this yacht has 3 cabins, 3 bathrooms, a fully equipped cabin, kitchen and living room. 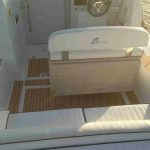 The gloss cherry interior are accompanied by wooden walkways that create a wonderful feeling of well-being and continuity. 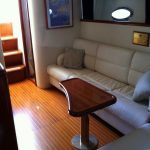 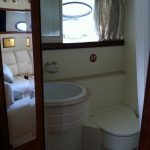 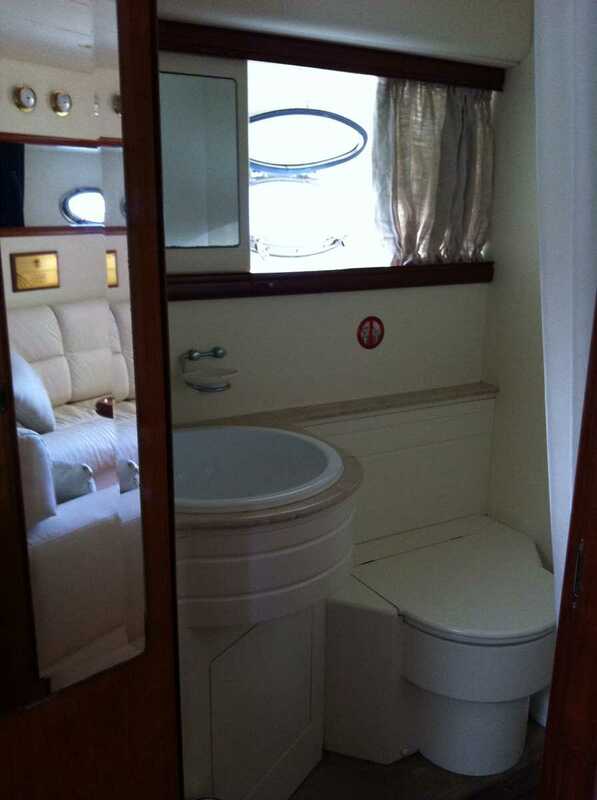 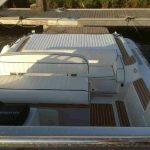 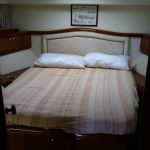 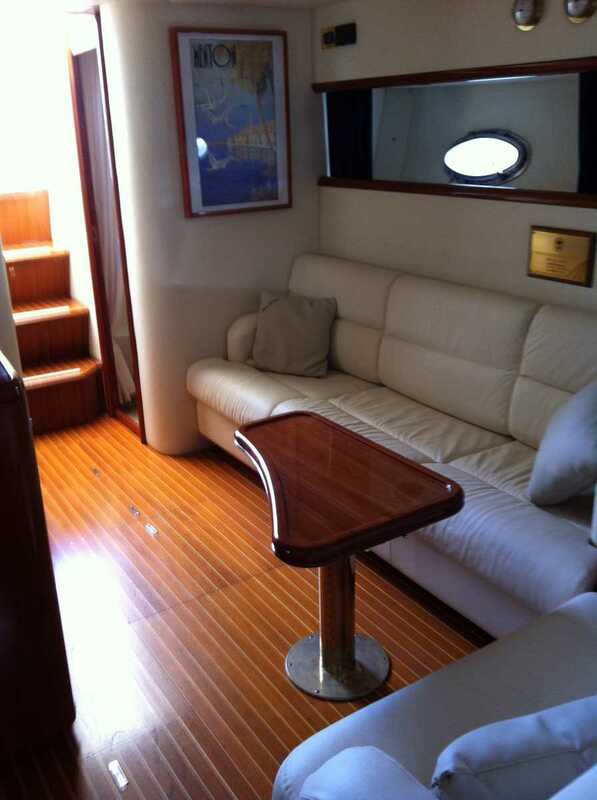 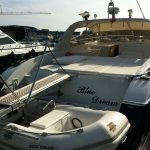 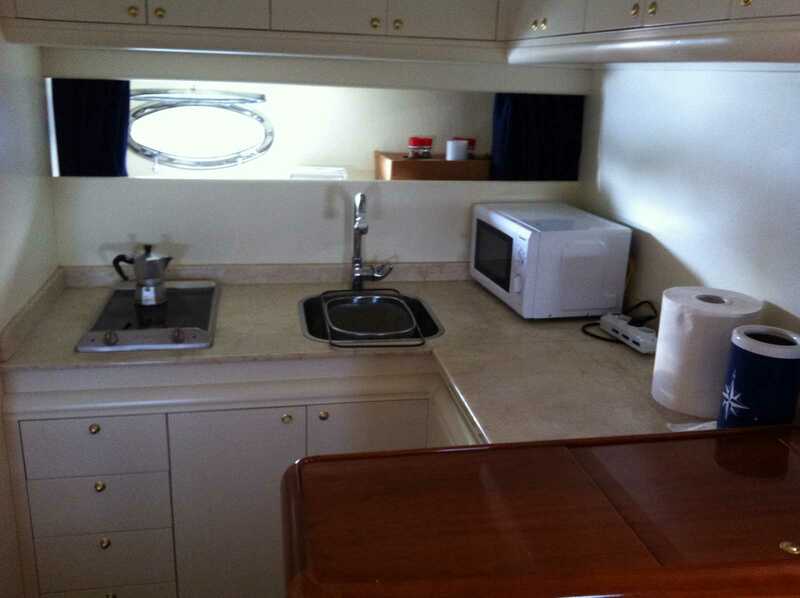 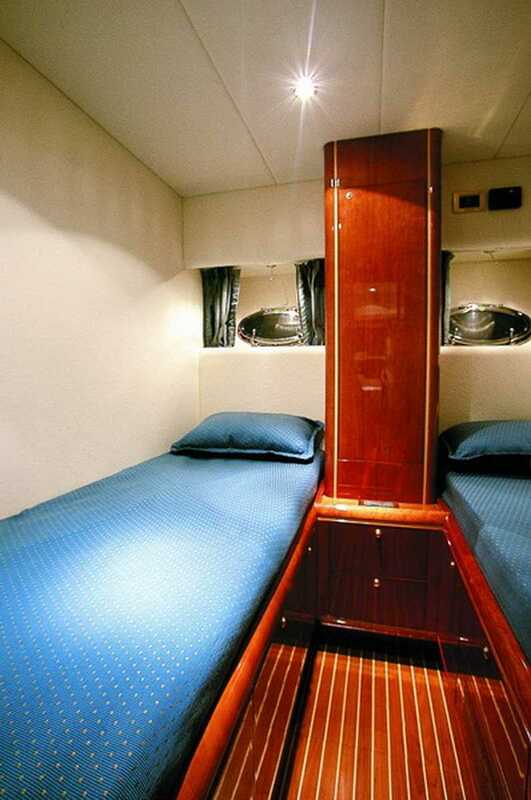 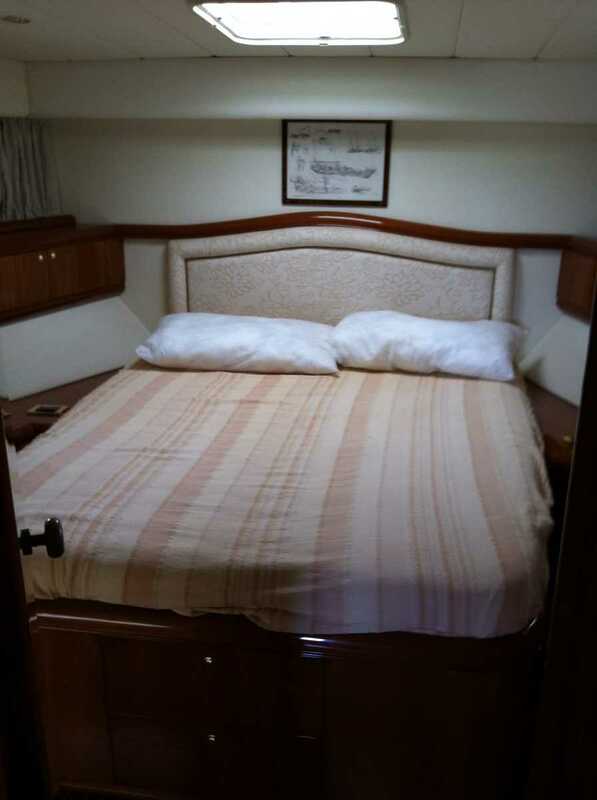 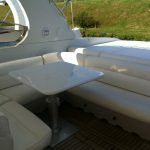 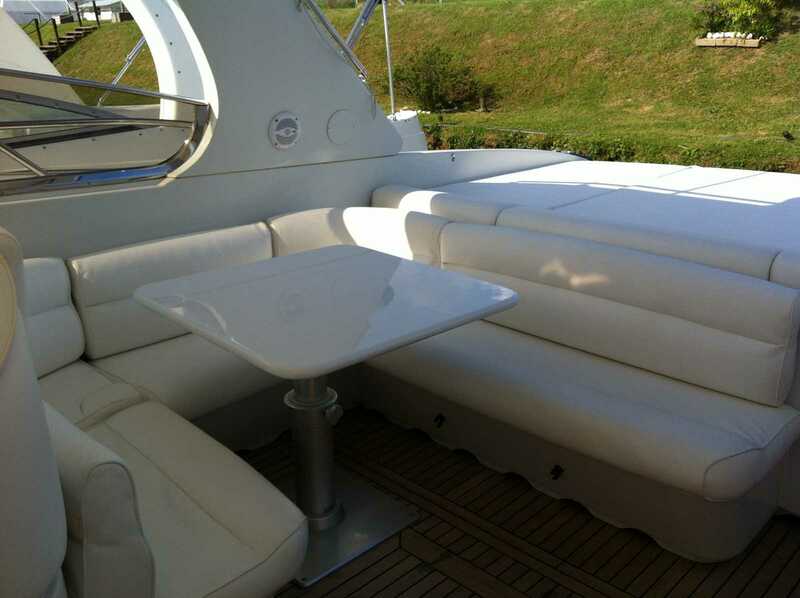 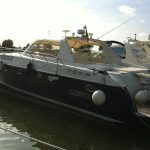 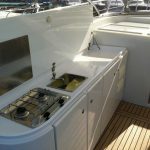 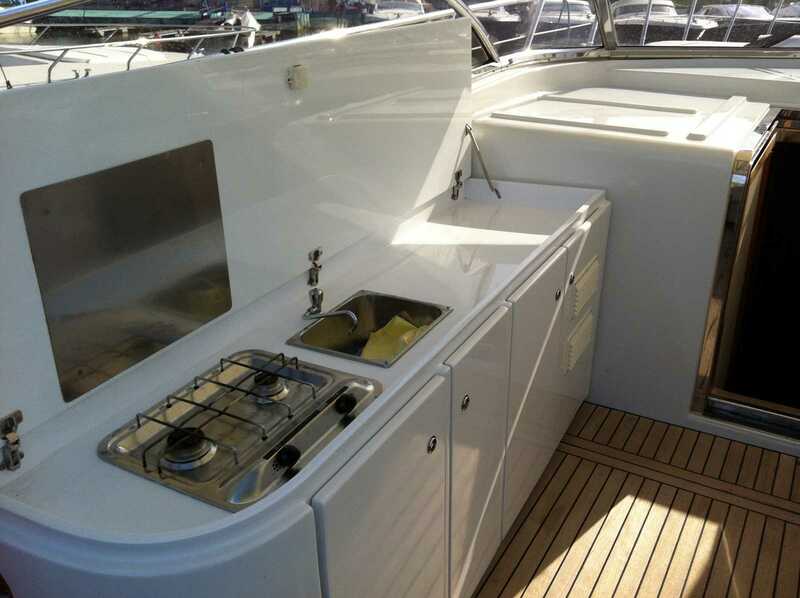 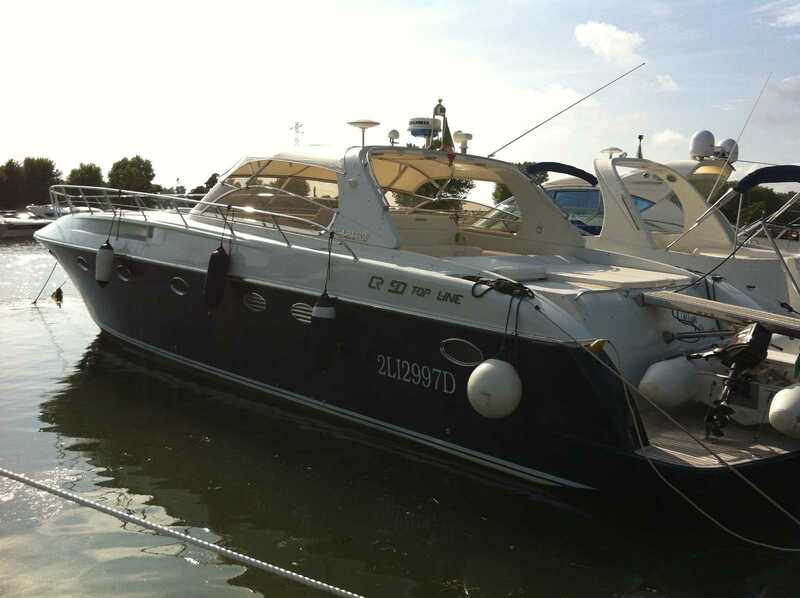 It is also equipped with an outdoor kitchen, outdoor shower, awning and sun loungers this boat has a top speed of 34 knots. 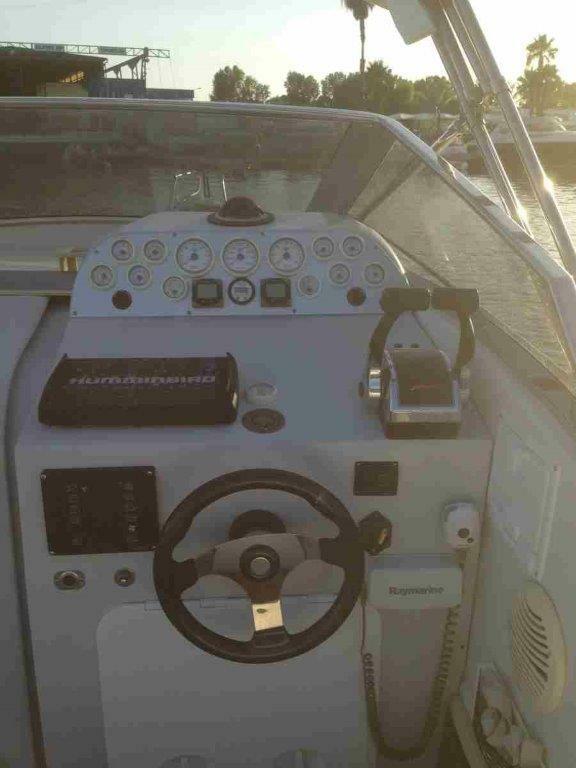 Heating Navigator GPS Radio v.h.f. 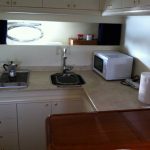 Notes: The fuel is calculated separately. 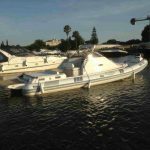 THE INFLATABLE FONTANA BROS along 11 meters has a maximum capacity of 12 people and a maximum speed of 38 knots and a cruising speed of 30. 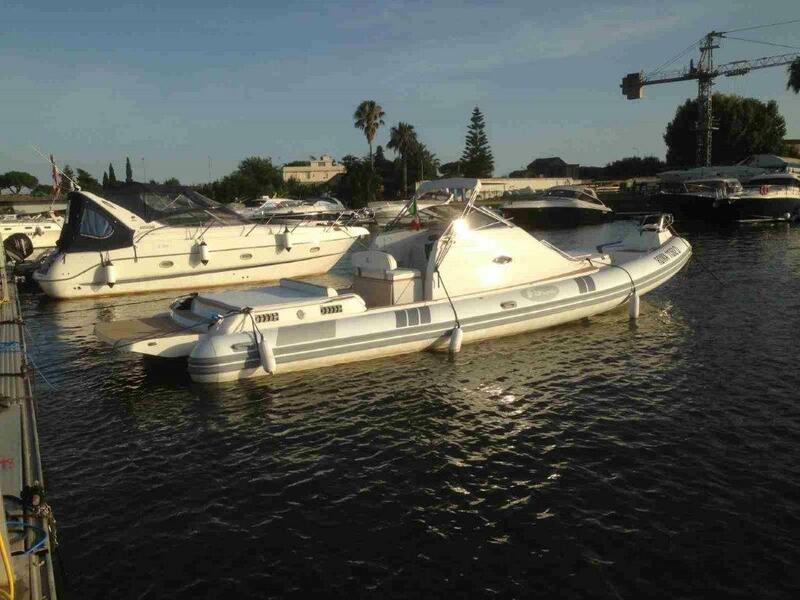 It has steel propellers, two fuel tanks of 300 liters each. 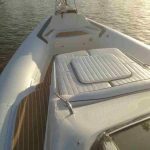 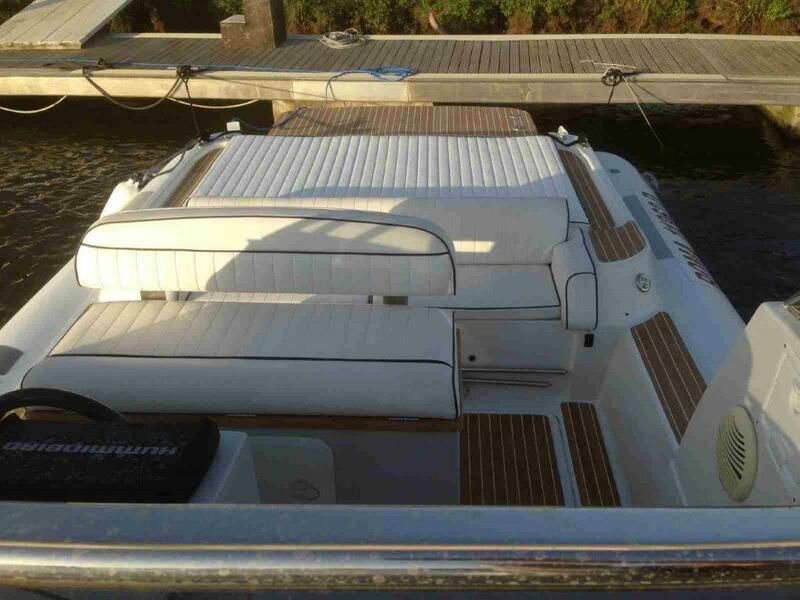 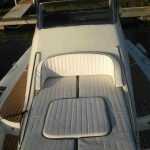 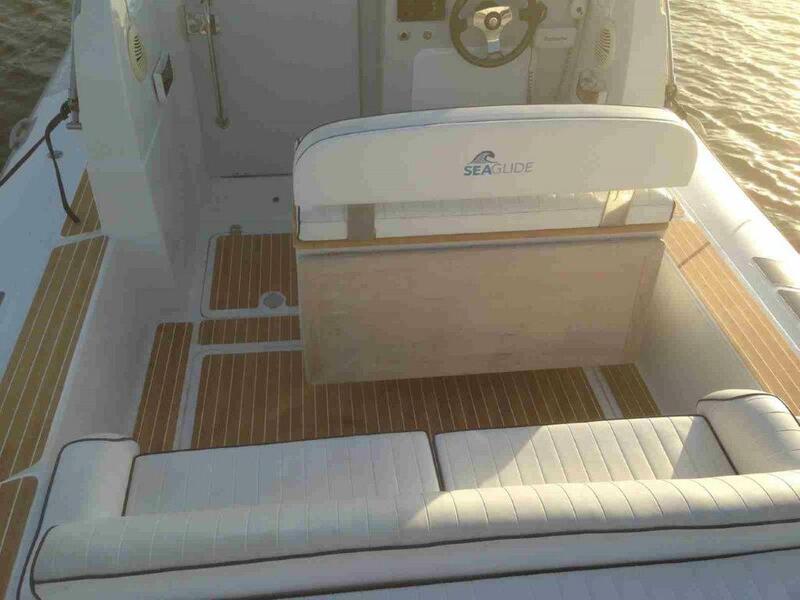 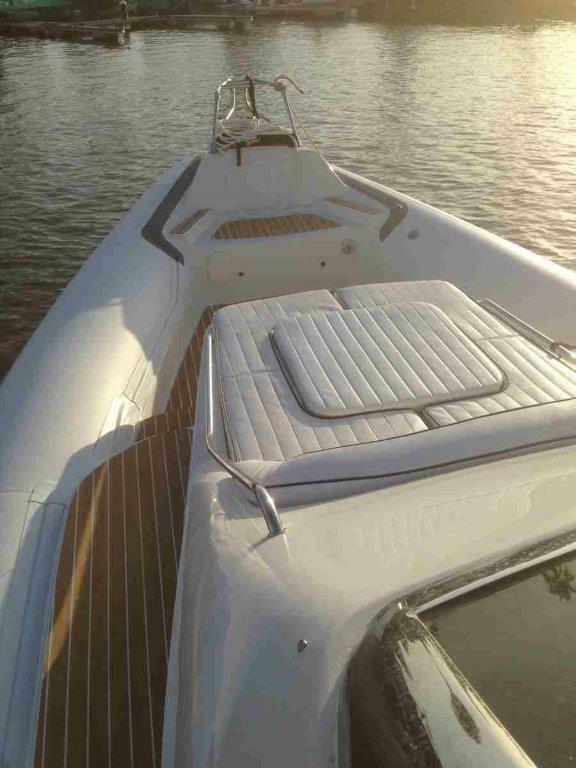 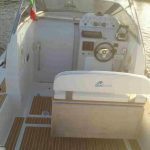 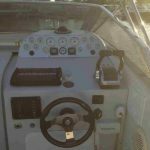 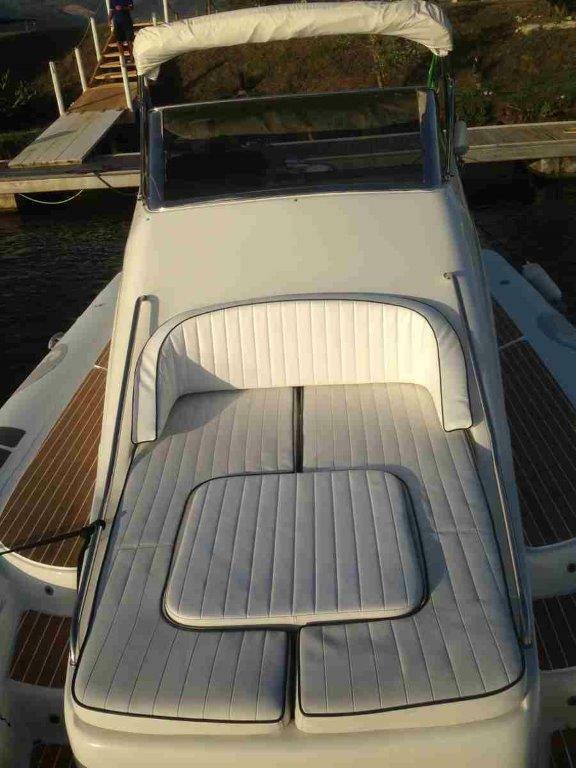 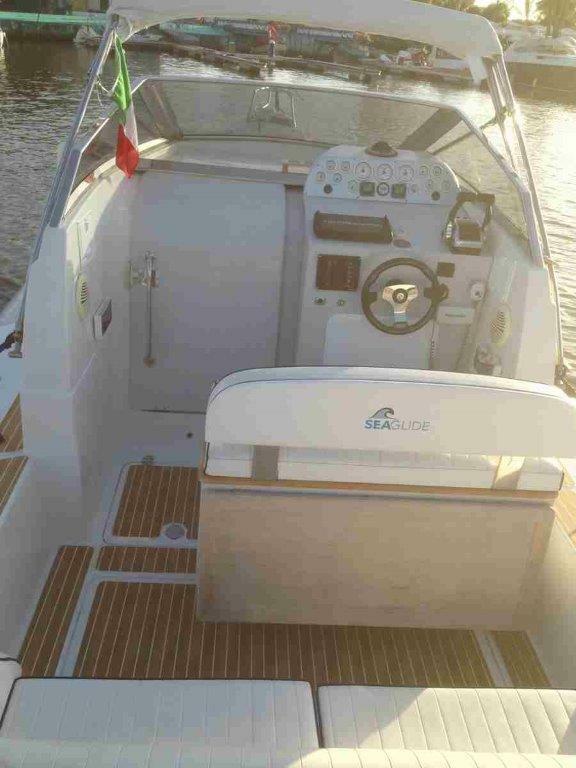 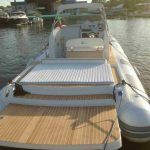 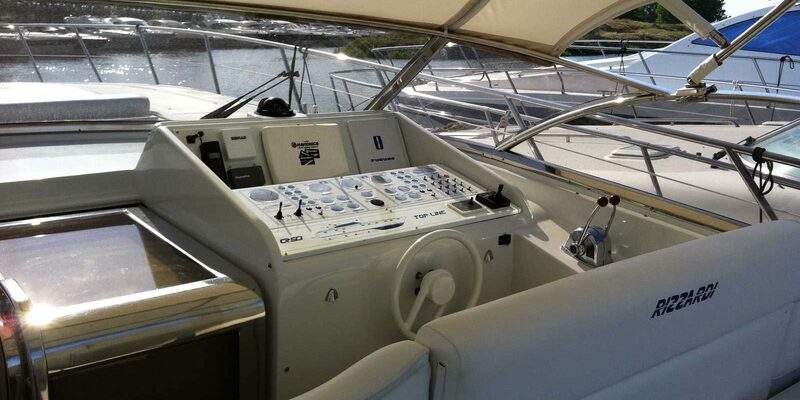 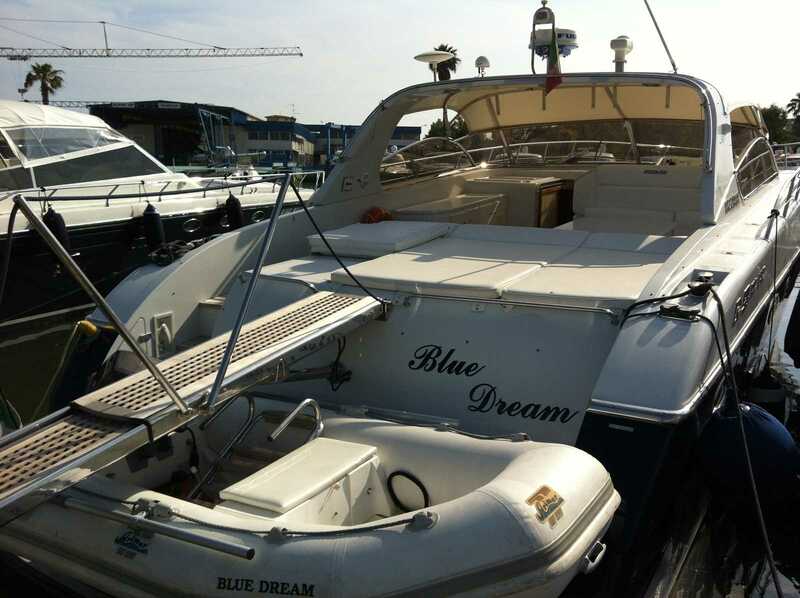 His soft features accompanied by white leather seats make this boat ideal for offshore trips or to stand off the coast for a bit of sunshine hours.